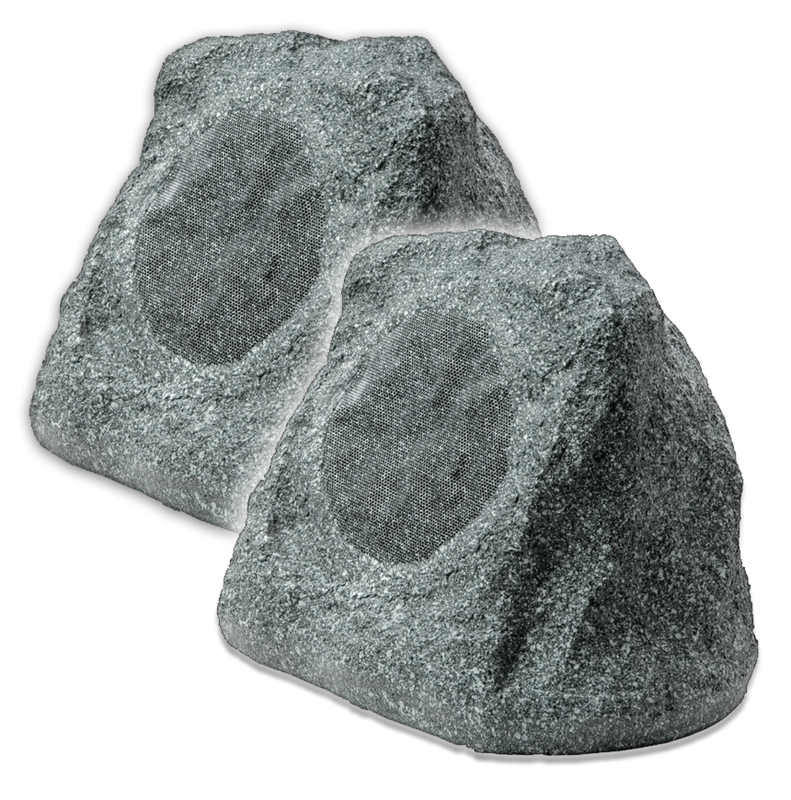 The value version of our RS670 rock speakers, these sturdy rock speakers are well suited for patios and smaller to medium backyards. You'll experience great outdoor sound with 150W of power handling and a 6.5" polypropylene cone woofer. These Junior Rocks are all weather and include aerospace-grade multi-layer composite cabinetry. 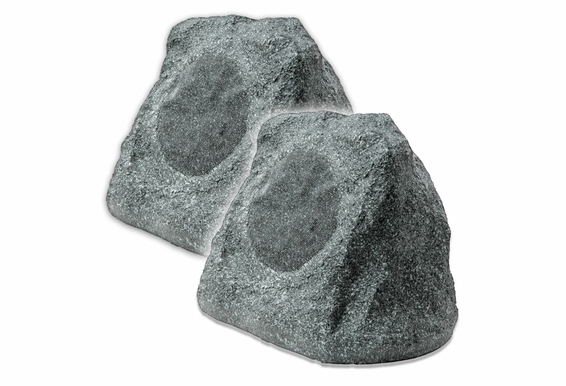 Are These Rock Speakers Really that Durable? We reassure customers all the time. OSD Audio rock speakers are built for all types of weather. These outdoor speakers utilize weather-resistant components for years of trouble free performance. We also use non-water absorbing materials, which is critical in winter so it won't freeze and crack. The shape is also designed to withstand large amounts of pressure, extreme temperatures and moisture. Remember though, outdoor speakers are an investment, so take care of them. Storing them away from extreme weather conditions will only lengthen the time you will get enjoying outdoor speakers. Rock Speaker Placement Tips Examine your backyard to determine the general area where the rock speakers would be most ideal. Try to locate them in areas where a natural rock might be found such as bordering a garden area. When selecting the location, a good rule of thumb is that the speakers should face the general listening area 12 feet to the center, 10-12 feet apart for the best stereo imaging. Also, try to avoid placing the speakers in low spots that would make the speakers vulnerable to water accumulation. What Kind of Speaker Cable Should I Use? We recommend using our waterproof wire and wire connectors specifically designed for the outdoors. These speaker cables that can withstand extreme weather conditions like rain, snow and high temperatures and incorporate twice the insulation and a formulated white polyethylene jacket that is U/V resistant. If you plan to bury the cable in the ground, we recommend using direct burial cable.